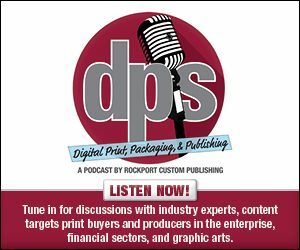 The Association for Print Technologies (APTech) has issued a call for speakers and session topics for the signature printing and graphic communications industry event, PRINT 18. The Learning Experience at PRINT 18 is a top-notch educational program providing seminars and hands-on lab sessions developed especially for professionals working in some part of the printing value chain. Every session is geared toward helping attendees learn a new skill, discover fresh marketing approaches, boost productivity, improve operations, learn a gem sales tip or find new opportunities to expand their business. The Learning Experience seminars run throughout the PRINT 18 show, from September 30 to October 2, 2018, at McCormick Place in Chicago, IL. “With the entire graphic communications industry in a state of major transformation, APTech is evolving its leading education programming by bringing together the most sought-after experts and business development authorities from both within and outside the industry,” says Julie Shaffer, Associate Vice President, Program and Community Development, APTech. Featuring dozens of education sessions on topics vital to the success and growth of the printing and graphic communications value chain, The Learning Experience at PRINT 18 will focus on executive education and business opportunities, along with overarching industry trends, essential sales and marketing topics, production, operations and “how it’s done” sessions. Presenters can choose to cover topics in one or more of these proposed categories or suggest their own, within the overarching goal of helping attendees grow their businesses. Proposals may be submitted through APTech’s new online RFP system before March 12, 2018.